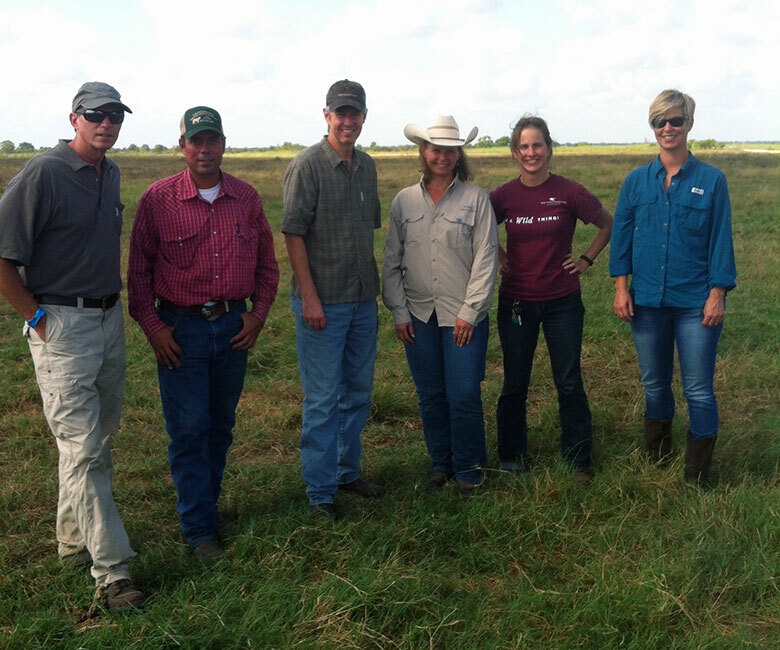 From left to right: John Preyer, Restoration Systems Principal, Sam Reese, Manager, Warren Ranch, Wayne Walker, Common Ground Capital Principal, Amy Hicks, Service Provider for Warren Ranch, Christine Mansfield, Conservation Education Specialist, and Callie Easterly, Chief Grant Writer, Katy Prairie Conservancy. One of the great things about owning a business and having great business and landowner partners that wake up every day thinking about natural resource conservation is that you sometimes get access to fantastic places to participate in events such as the Warren Ranch Labor Day Dove Hunt near Hockley, Texas (~45 minutes outside of Houston). This is the second year of our annual customer and conservation partner event. Warren Ranch is an amazing piece of property and one of the best conservation partnerships between a long-standing ranching family, a land trust and a mitigation banker. Common Ground Capital’s partner Restoration Systems played a large role in conservation of this 6500 acre traditional livestock and hunting property on the Katy Prairie by restoring a legacy stream on one of the largest stream banks in the country over the past couple of years. Stream credits on the property are used to mitigate the Texas Department of Transportation’s impacts to streams caused by road construction in a service area defined by the US Army Corps of Engineer’s Galveston District. What’s most important about this project is the value of this landscape scale conservation partnership model that was largely enabled by the stream mitigation banking business model and the successful business transaction between Restoration Systems and TXDOT that was the linch pin in achieving the conservation success of the property. The Warren Family gets to continue ranching on one of the last vestiges of the once expansive Katy Prairie, the Katy Prairie Conservancy owns and has protected the entire property with a conservation easement and Restoration Systems has enabled the retirement of debt for the property and fully funded both a management endowment to meet the needs of maintaining the restored stream and a separate endowment that allows the Katy Prairie Conservancy to enforce the terms of the easement and carry out its conservation mission on the historic Warren Ranch. ← Lesser Prairie Chicken Outcomes Becoming Clearer-The Train Tracks are not up to code and the red signal is still on.